For many years both players and visitors to Leicester County Cricket Club’s Grace Road ground had to be treated off-site if they became sick or injured. Back in 2016 this all changed when Morningside Pharmaceuticals Ltd partnered with LCCC to sponsor the medical centre there. Today, the Morningside Medical Centre provides treatment facilities during match days, as well as for the local community, and features state-of-the-art match preparation and rehabilitation support from injuries. The medical centre has a space for a private treatment room, an open plan treatment area and an adjoining trauma room which doubles as a crowd medical facility for use by St John’s Ambulance on match days. Speaking during the renewal of our partnership in 2018, Leicestershire County Cricket Club’s Chief Executive Wasim Khan MBE, said: “Prior to the creation of the Morningside Medical Centre we had to treat players and visitors off-site. This was not ideal as you have to act quickly if someone becomes seriously ill and requires urgent medical treatment. 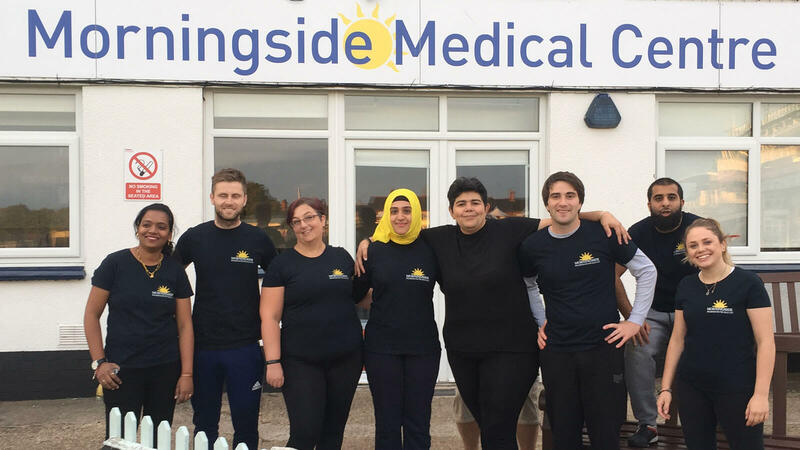 Morningside’s Chief Executive, Dr Nik Kotecha OBE, added: “I feel passionately about bringing communities together and making lives healthier. “We are proud to support LCCC and their work in going into the community and local schools to encourage sport and diversity within sport, which has inspired 20,000 children as part of their extensive schools programme. © 2018 Morningside Pharmaceuticals Ltd.